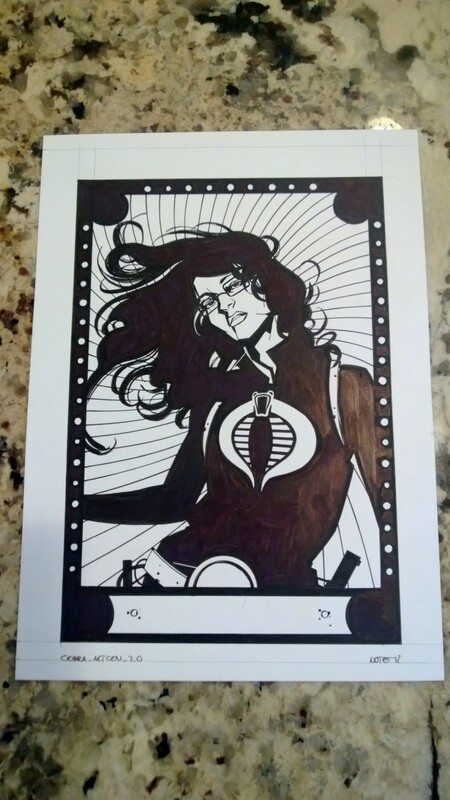 IDW Cobra # 19 Original Art for Cover Plus Unused Alternative Cover Art! Hey guys, I also just picked up 2 awesome pieces of art from Antonio Fuso, the artist for Cobra. 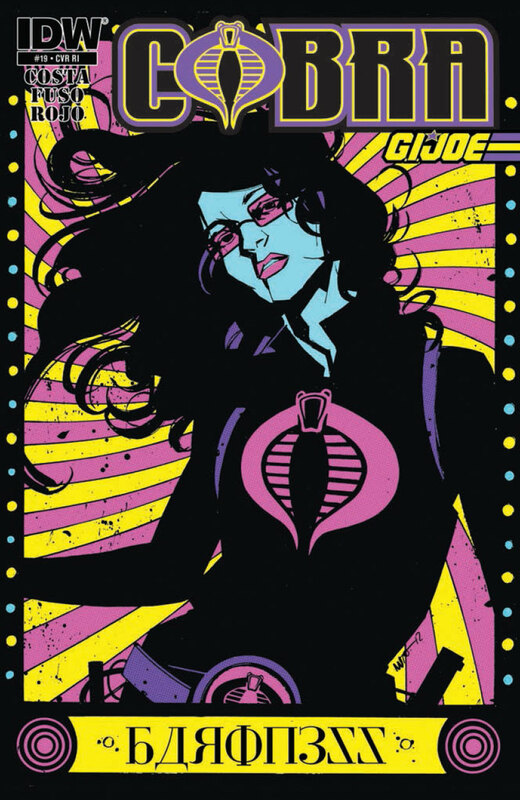 I really loved the retail incentive cover art for Cobra Vol. 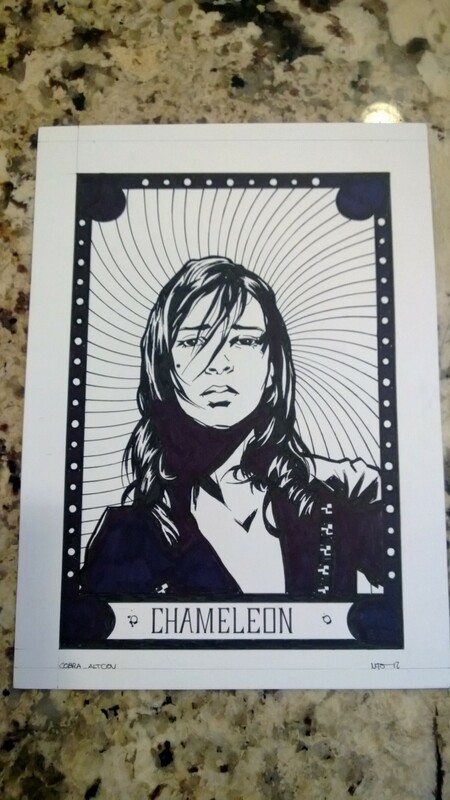 2 #19 featuring the Baroness and I recently had the opportunity to buy that and an alternative unused cover featuring Chameleon!!! Fuso did an incredible job ob both of these and they are now hanging on one of the walls in my office! The first picture is scan of the final produced cover, followed by the Baroness art and Chameleon art! Categories: IDW Comic Review, IDW Preview | Tags: Antonion Fuso, Art, Baroness, Chameleon, Cobra, Comic, comics, GI Joe, GI Joe Comics, IDW, IDW Limited, IDW Publishing, Leaky Suit Brigade, Original Art | Permalink.